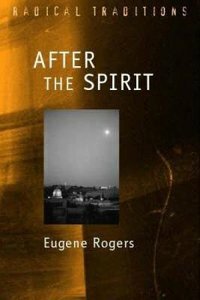 In this study of the Holy Spirit, Rogers considers the Spirit against a background of classical Trinitarian doctrine. He draws on a wide range of Greek, Latin and Syriac sources, as well as engaging with a fascinating variety of modern authors such as Barth, Coakley and Rahner. About "After the Spirit (Radical Traditions Series)"
Praise Seeking Understanding sits at the intersection of three important fields in theology: theological exegesis, Augustinian studies, and contemporary church practice. Jason Byassee deftly brings the three together, revealing an important symbiotic relationship between them - a relationship hitherto largely ignored. Though current exegetical methods have swung away from a Christological reading of the Old Testament - rejecting in particular Augustine's treatment of the text - Byassee believes that is a mistake we must remedy. Using a recent translation of Augustine's Enarrationes in Psalmos, Byassee describes in depth Augustine's psalm hermeneutic and his approach to scripture generally, offering a defense of these views in conversation with recent work in theological exegesis.